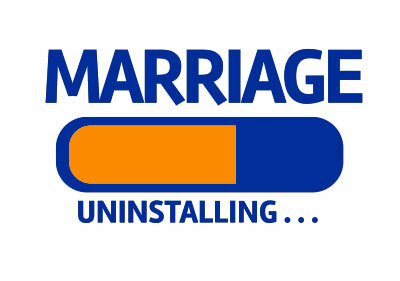 Moving on from divorce often begins with adopting a constructive mindset. It may be an emotionally charged and difficult task to divide property accumulated throughout years of marriage. It is, however, necessary. Divorcing couples will certainly find it in their best interest to work cooperatively in order to streamline and optimize how they split their assets. When spouses strive to reach an agreement without needing legal intervention, they improve their bottom line. They can maximize what they each retain. They can also save time and sometimes the heartache and financial costs that may come with contesting decisions through the courts. Spouses may have a better chance at an amicable and fair settlement by first understanding some of the legal parameters. Through the use of property division agreements, 90% of divorcing couples today are able to settle out of court (according to Legal Zoom). Doing so helps expedite the process. Where assets get complex, though, it may be wise to consult with a divorce financial planner. And surely, some states vary in detail on how they define certain terms. "Separate Property": All states recognize "separate" property, or anything acquired prior to the marriage. Typically, spouses retain these assets after the divorce. Beyond real estate or other items, this can also include things like: any gifts by a 3rd party; an inheritance, received either before or after the marriage; or, any payments from a personal injury judgment. Of note, some separate property may lose its status if it is commingled with marital property (Forbes.com). For instance, if a separately owned home was improved upon during the marriage, it may become a joint asset. Similarly, if separately owned property increases in value during the marriage, that measurable increase can also be considered marital property. "Community" and Other Special Property: Essentially, this is all income and assets acquired by either spouse during the marriage, regardless of who had ownership. This can include, but is not limited to, things like: real estate and land; all vehicles, including those for recreation; bank accounts, securities, tax refunds, and retirement plans; insurance policies; county club memberships; and even household items like furniture. Some marital assets aren't so easily measured and will require special consideration. Again, the advice of an expert planner may be beneficial in weighing out these items' "worth." Assets difficult to divide might include tangible things like: pets; collections that appreciate, like artwork, antiques, sports memorabilia, and even keepsakes. Intangible marital assets may also require special consideration. Intellectual property, for instance, may be hard to measure. Any patents, copyrights, or trademarks registered during the marriage, and any lucrative future royalties may also prove difficult to divvy up. 50/50 vs. Equitable Distribution: The nine "community property" states automatically presume joint ownership of all assets except gifts or an inheritance. The community property states are: Arizona, California, Idaho, Louisiana, Nevada, New Mexico, Texas, Washington, and Wisconsin. The 50/50 provision seeks to equally divide assets, either by individual item or by value. The other 41 states have "equitable distribution," wherein the focus is on a fair division of assets between spouses, which may not necessarily hold an equal monetary value. In these states, a judge may even award a spouse a monetary percentage of the total value of an item. In determining this, a judge may consider factors like: the length of the marriage; spouses' ages, physical condition, and emotional health; the financial situation of each spouse at the time of divorce; their respective earning potential; the standard of living attained during the marriage; any support or contributions made to a spouse's advanced schooling; and more. A judge may also order a spouse to contribute separate property to help make a split more equitable. Bottom Line: Having open and thoughtful communication and disclosing all assets accurately will help divorcing couples begin the sensitive work of dividing their marital property. It is practical for a couple to make a detailed inventory of joint assets and to understand the monetary worth and even sentimental value of each item. Wherever appropriate, it is wise to do any research necessary to understand the short and long term consequences of any actions. Making decisions respectfully and cooperatively from a financial perspective, instead of an emotional one, will help lessen the chances for conflict. Additionally, a professional financial planner may review the terms of the agreement to help ensure a fair division of property.